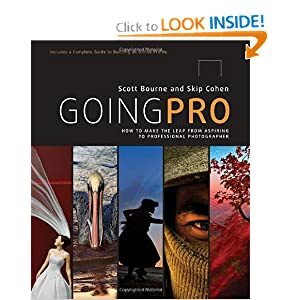 If you're interested in finding new ways to leverage social media in conjunction with your photography, the book "Going Pro: How to Make the Leap from Aspiring to Professional Photographer" by Scott Bourne and Skip Cohen is worth a look. In addition to the chapters on social media, the book also does a good job outlining how to differentiate yourself from the sea of other photographers while building your own personal brand. I've made my way from cover to cover once, and will likely make another trip through for good measure. Read any good photography related books lately?